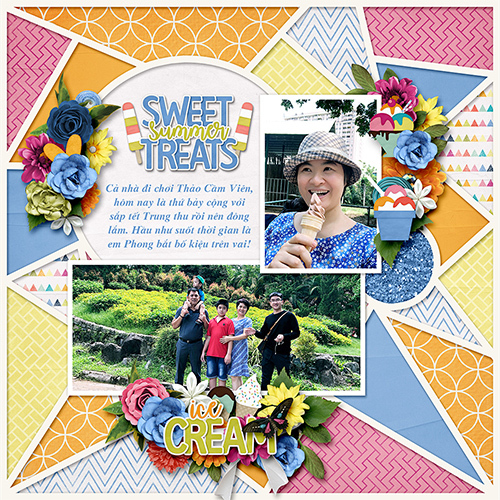 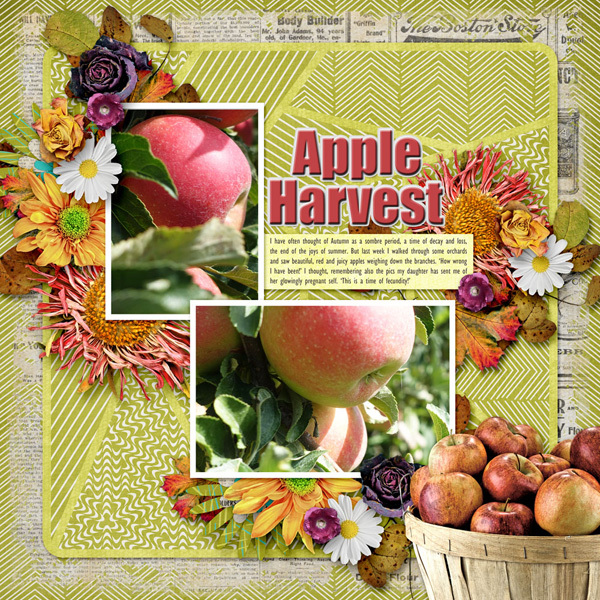 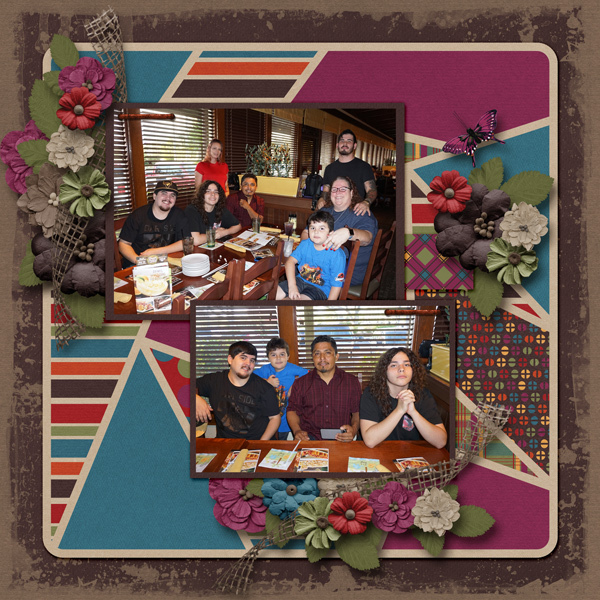 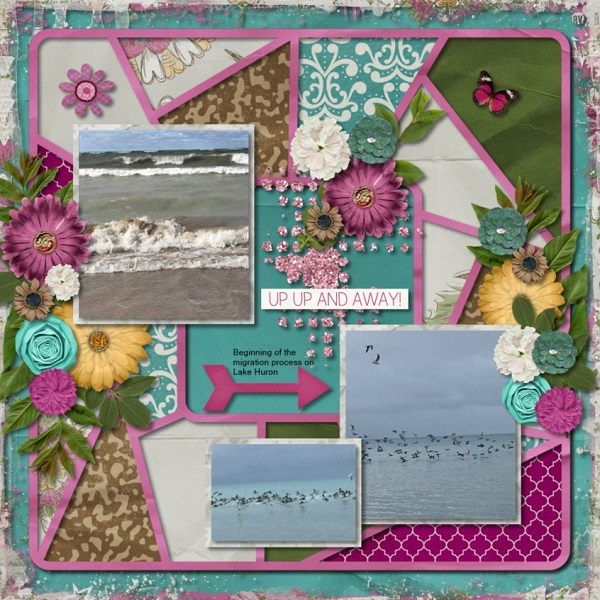 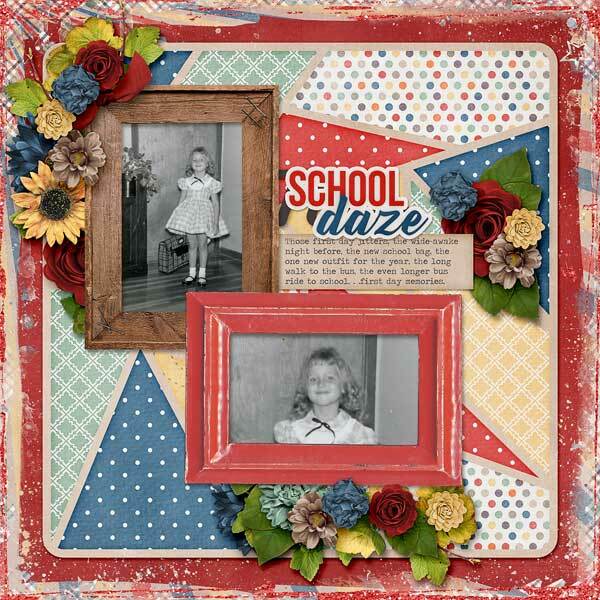 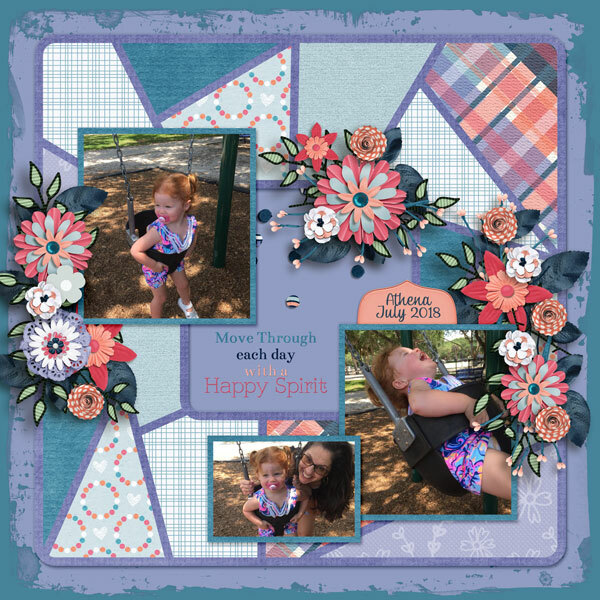 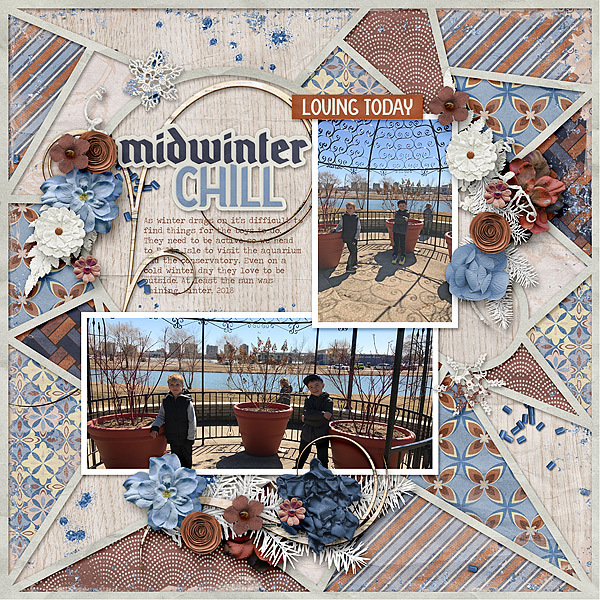 These templates create the feeling of a crazy quilt with many different shapes that bring a lot of interest to your layouts! 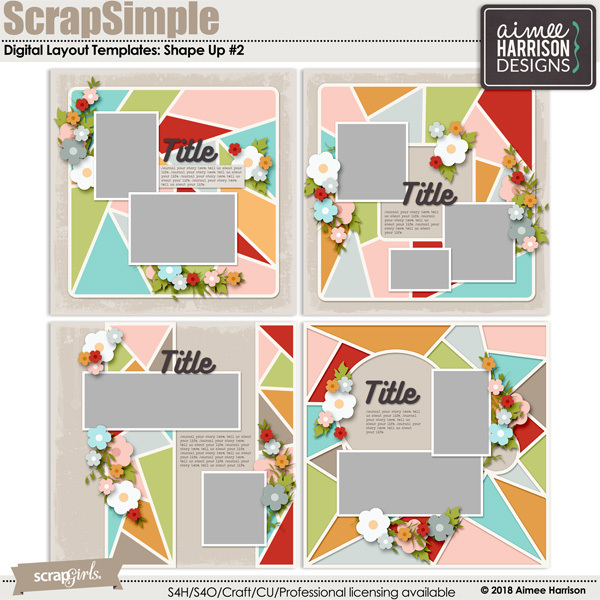 Florabundia #2 Templates by Aimee Harrison are PU/S4H/S4O/CU. 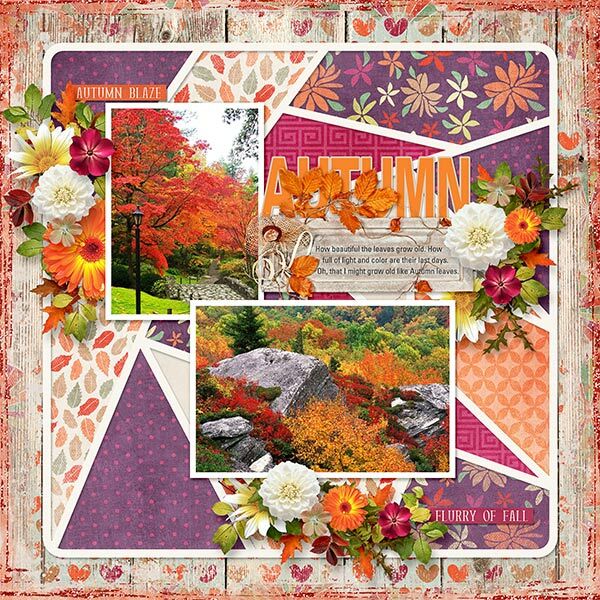 Morning Heather Glitters by Aimee Harrison are CU4U/CU/PU/S2H/S4O friendly.